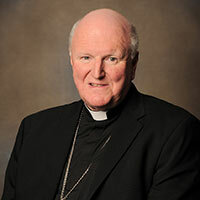 The Australian Catholic Bishops congratulate the Most Rev Denis J Hart, President of the Australian Catholic Bishops Conference and Archbishop of Melbourne, on his appointment by Pope Francis as a member of the Congregation for Divine Worship and the Discipline of the Sacraments. This appointment acknowledges Archbishop Hart’s contribution to the liturgical life of the Catholic Church in Australia and internationally. Vatican Congregations are the senior bodies of the Roman Curia, each entrusted by the Holy Father with a particular area of responsibility. The Holy See announced the nomination by Pope Francis of ten Cardinals, seven Archbishops and ten Bishops as members of the Congregation for Divine Worship and the Discipline of the Sacraments on Friday 28 October 2016. Archbishop Hart expressed gratitude for the trust implied in this appointment while expressing readiness to assist the work of the Church in whatever way possible. Through almost fifty years of ministry that has included parish, marriage tribunal, diocesan governance, Bishops Conference and Vatican appointments, Archbishop Hart has given distinguished service to the liturgy. After his ordination in 1967, Archbishop Hart was appointed to St Patrick’s Cathedral where he was Prefect of Ceremonies for the Archdiocese of Melbourne (1970-96). He was Executive Secretary of the National Liturgical Commission (1975-90) with responsibility for preparation of the three volume Lectionary for Mass, the rites of Anointing, Marriage, Funerals, Initiation of Adults, and, in co-operation with publishers, of people’s books for worship. He was Consultor of the Congregation for Divine Worship (1985-94) and Parish Priest (1987-96). Archbishop Hart served as Liturgy Director and Assistant Master of Ceremonies for the 1986 Australian Papal Visit by Pope (now Saint) John Paul II. He was appointed Vicar General of the Archdiocese of Melbourne (1996-2001), Auxiliary Bishop (1997) and Archbishop of Melbourne from June 2001. As Vicar General of the Archdiocese, he was Secretary of the Diocesan Liturgical Commission and now as Archbishop he is the overseer, promoter, and guardian of liturgical life throughout the Archdiocese. Archbishop Hart has been a member of the International Commission for English in the Liturgy (2003-16) and its Vice-President (2012-16). As a bishop and archbishop, he has been a member of the Australian Catholic Bishops Commission for Liturgy. He is currently serving as President of the Australian Catholic Bishops Conference, a position he has held since 2012. Last year during the liturgical art and architecture symposium, ‘God is in the Detail’, the Australian Catholic Bishops Conference hosted the Hart Lecture in recognition of the outstanding contribution of Archbishop Denis J Hart to the liturgy – locally, nationally and internationally. This entry was posted in Bishops, Pope Francis, Press Releases on October 31, 2016 by ACBC Communications.